Ribs are one of our favorite dinners to eat all year round. I usually make our ribs on the BBQ grill outside. Now that the weather is getting cooler and I don't really want to be heading outside, I decided to make this batch inside. I bought 3-4 pounds of ribs, coated them with sauce and prepared to let them cook for a few hours. The meat was tender and falling off of the bone. I used my homemade BBQ sauce but you can easily choose your favorite brand. Toss ribs and sauce together. Place in a baking pan, cover with foil. Allow ribs to cook for 3 to 4 hours. If you would like to have a "grilled" look, then uncover ribs and broil for a few minutes, turn and broil again on the other side. I personally like the bit of charred flavor that is added to the ribs by broiling them for a few minutes. Brush with more BBQ sauce or eat them as is. Combine all of the above ingredients into a medium size pot. Turn heat to medium high and bring sauce to almost a boil, bubbles around edges. Reduce heat to medium low and let simmer for an hour, stirring occasionally. 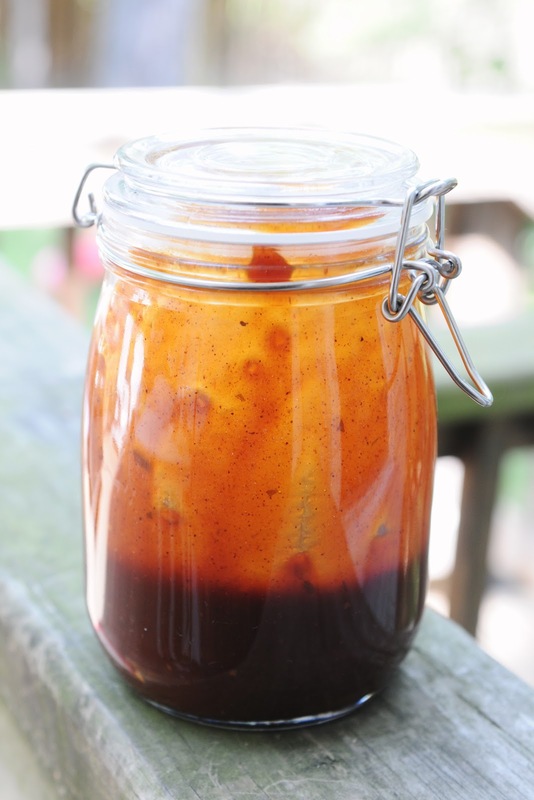 You will start to notice your sauce getting deeper in color, thicker and reducing. This is what you want. Sauce is good up to 2 weeks. Those look so juicy and delicious. Wow these ribs look fabulous!!! 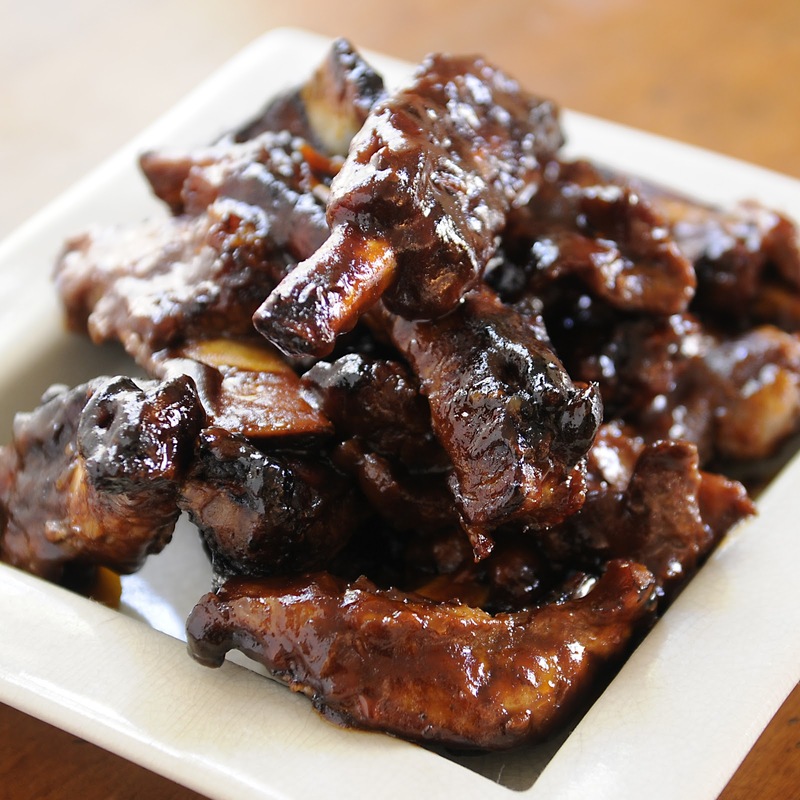 We love ribs but I never make them because I don't have a grill but these I can do! My husband will flip! Gorgeous!